It was the royal wedding's biggest and best kept secret, but as Catherine Middleton stepped from the Rolls Royce Phantom VI this morning, the designer behind her wedding dress was finally confirmed as Sarah Burton of Alexander McQueen. For the five months since Catherine and Prince William's engagement, there was much speculation as to who would be designing this centrepiece of the wedding, but the answer was only revealed when Catherine's dress was seen in its full bridal glory outside the Great West Door of Westminster Abbey just before eleven o'clock. And what a dress it was! Ivory white corset flattering her waist, sculpted lace bodice, a sweeping satin train... Catherine looked truly stunning as she walked up the aisle towards her beloved husband-to-be. A Cartier tiara loaned from the Queen was perched atop her demi-chignon hairstyle, and diamond-set oak leaf earrings completed the look. She was as any bride should be on their wedding day - absolutely beautiful. But now the wedding's over, I have to ask... Why so much secrecy from the beginning? 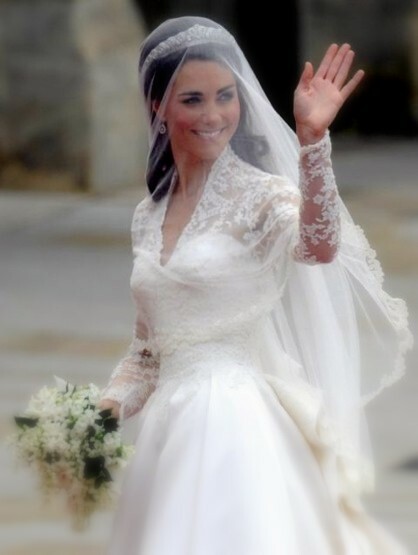 Speaking to Vogue, Sarah Burton answers that keeping the details of the dress a secret is "every bride's prerogative", but in doing this, Catherine created a fashion hype of almost unbelievable proportion. In the weeks before the royal occasion, other contenders as her designer included Alice Temperley and Sophie Cranston, but on Catherine's special day, it turned out to be the clear favourite all along. According to The Guardian, the dress was "a triumph for British fashion". The newly appointed Duchess of Cambridge has always been a fashion icon since she and Prince William became a prime focus of the media's attention, and undoubtedly she will continue to be for years to come. Therefore it is unsurprising this one wedding and this single dress got the whole fashion world abuzz with excitement, however I personally did not believe it would be so huge. 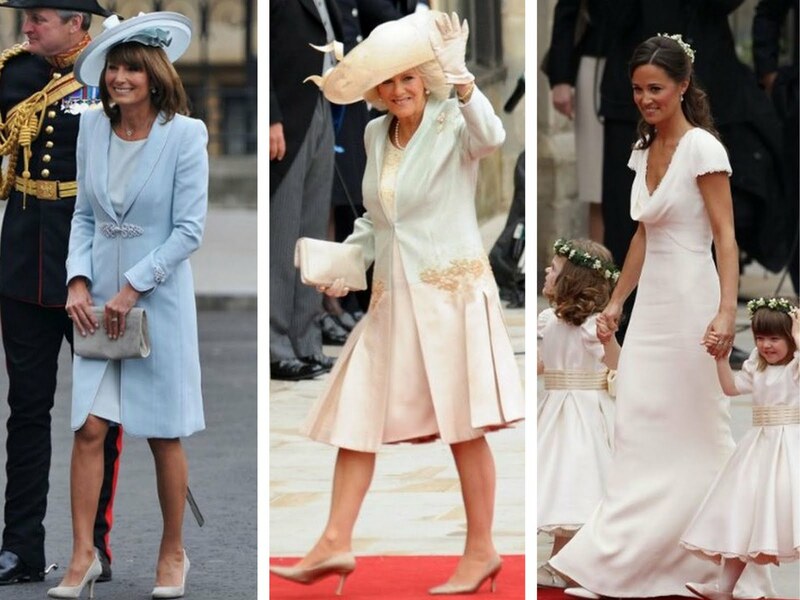 Other stylish stars at the royal wedding included Pippa Middleton, Catherine's sister and maid of honour, and Carole Middleton, mother of the bride. While Pippa opted for a cream silk dress also designed by Sarah Burton, Carole wore a pearl blue coatdress from Catherine Walker with a matching Jane Corbett hat. Among the royals, Camilla, Duchess of Cornwall, stood out in her ice green coatdress designed by Anna Valentine. 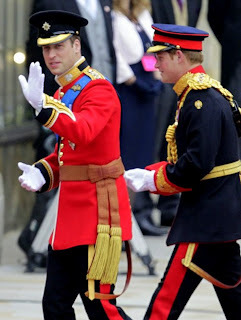 And let us not forget two very important gentlemen - Princes William and Harry, who adorned red and black military uniforms respectively. The two brothers both looked extremely dashing in their crisp attire. All in all, in spite of a few hiccoughs in London, the royal wedding between Prince William and Catherine Middleton was a fantastic success, bringing the whole world together for one majestic event. For fashion, it has shown the best of British designers and created perhaps the greatest fashion hype ever known. Who would have thought one question could be so burning? I'm glad we all now know the answer. However, I do have one more question now the wedding's over... What will be the next big fashion fever? But I guess I'll have to find out. In the meantime, congratulations to the new Duke and Duchess of Cambridge. I hope they have a happy marriage, and that Catherine remains ever as stylish.